Ivan Parker is an American Southern Gospel singer. Musical career Parker was raised in Sanford, North Carolina, where his father was a pastor in a Pentecostal church. In 1982, Parker joined The Singing Americans, and in 1983 he became lead vocalist of the Dove Award-winning group the Gold City Quartet. As a member of Gold City, he was named Favorite Lead Vocalist by Singing News from 1988-1993, and was named Favorite Male Vocalist from 1989-1995 and 1997. He was inducted into the Alabama Music Hall of Fame in 1993. 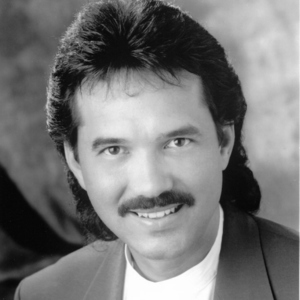 In 1994, Parker began recording as a solo artist, and in 1996 he joined Bill and Gloria Gaither in "Homecoming" tour. Additionally, during this period, he often sang with tenor Kirk Talley, and pianist/baritone Anthony Burger in a group they called simply, "The Trio." He has released 13 solo albums. From 2001-2004 and 2006, The Singing News named him Favorite Soloist. In 2007, he was voted Male Vocalist of the Year in the Singing News Fan Awards.